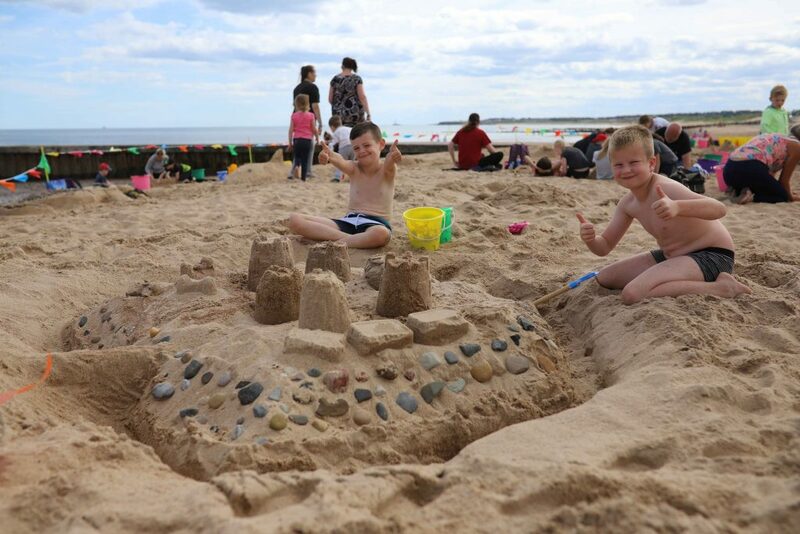 On a sunny day in August Jamie Wardley and Claire Jamieson travelled up to Blyth in Northumberland for two days of sand sculpture workshops showing people on the beach how to make sand art and have a go at something more exciting than the usual castle. 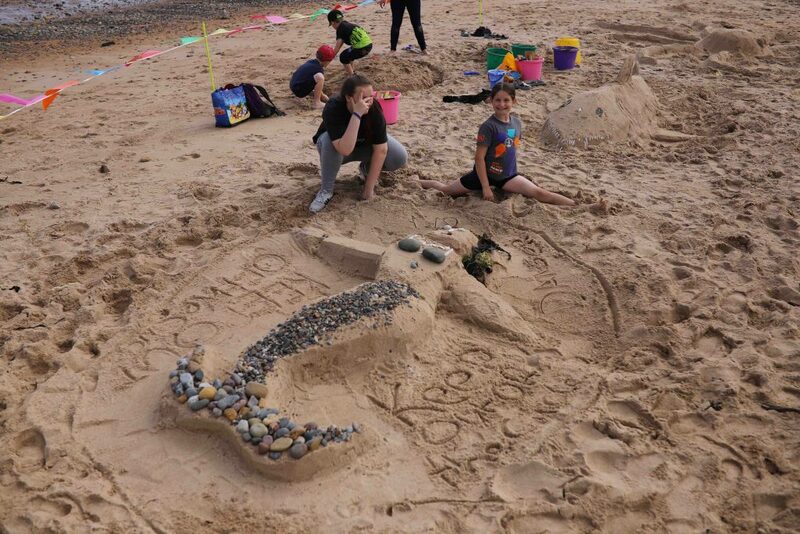 We’ve often been to Blyth to make sand art, in 2016 we visited to celebrate the start of the Tall Ships race that year. 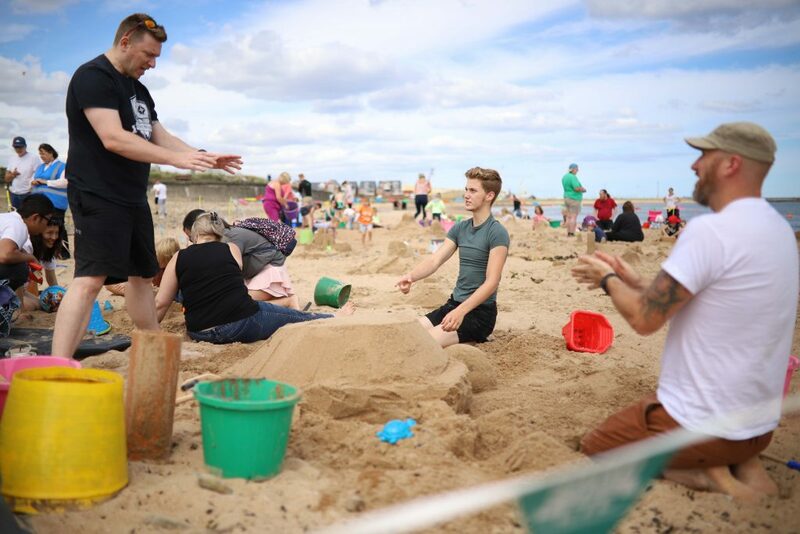 Blyth Town Council asked Sand In Your Eye to lead public engagement workshops aimed at the local community. 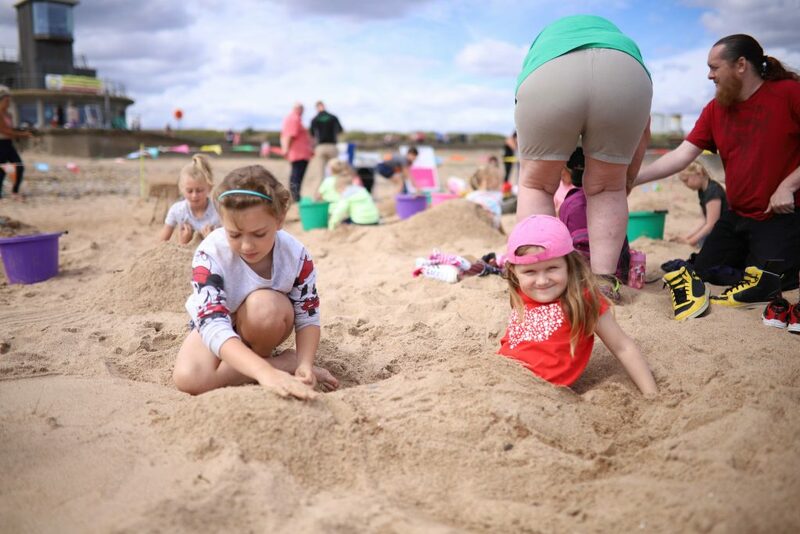 On the first day, the beach was busy with lots of things going on for beachgoers to take part in. Close to where our sand sculpture workshops were taking place were some people from the Environment Agency. Jamie and Claire got chatting to them and ended up doing some impromptu collaborating to engage people about flood defences, as a large sea wall is currently being constructed to protect the town and port from flooding due to tidal surges. 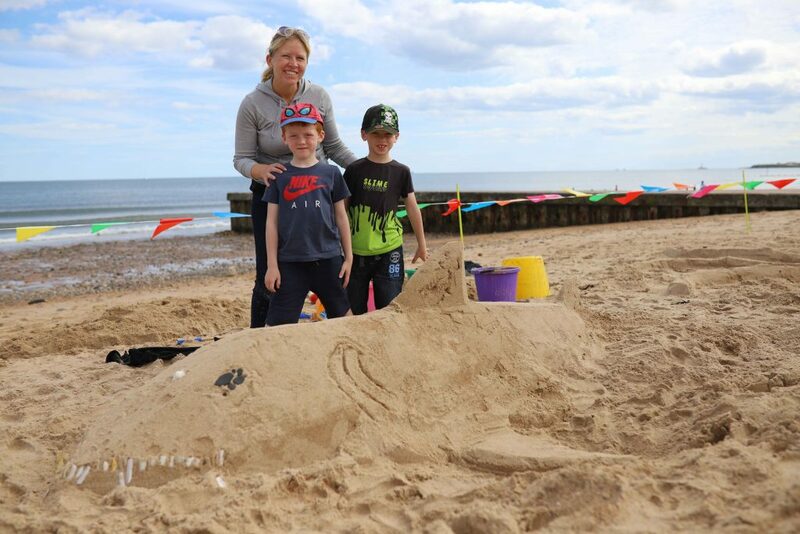 Lots of families had come to the beach to enjoy the sunshine and find things to do with the kids, there were some great sand sculptures built that day with lots of sea creatures emerging out of the sand. Unfortunately the British summer weather played true to form, as the next day was sadly rained off. Luckily for Jamie and Claire, nearby Tynemouth has a fantastic aquarium, which kept them busy and gave them lots of inspiration for the next lot of sand sculpture workshops! So much detail – look at the sharks teeth! 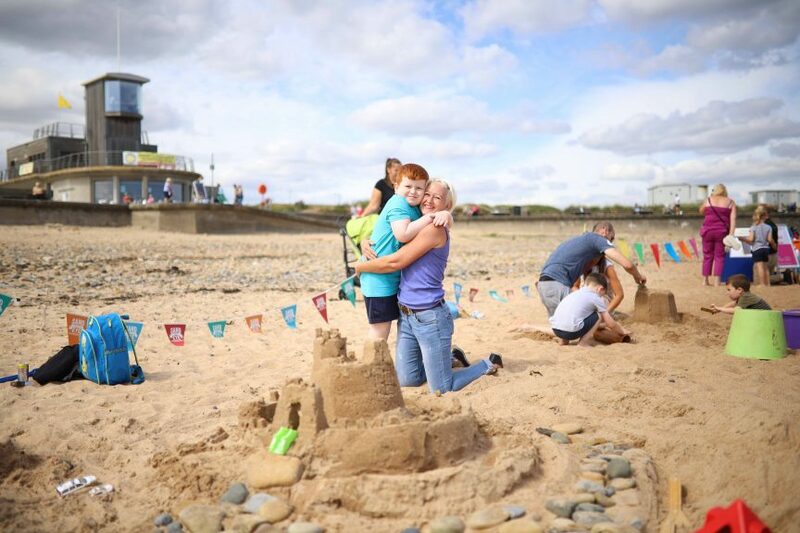 Many thanks to Mel Jackson for being lovely and so helpful, we will see you on the beach again in Blyth in 2019!